Not having to worry about things like maintaining curb appeal is one of the big perks of living in a homeowner’s association or condo property, but that doesn’t mean that as a resident you can be completely hands off. HOA landscaping comes with it's own set of challenges and complications, so while it is your landscaping company’s job to be familiar with your property, there are still some things that are important to communicate to make sure things go smoothly. Resident engagement probably varies on your HOA, with some members wanting to know the details of every expenditure and others preferring a more hands-off approach. However, information about what’s happening on their property should be available to all homeowners, whether it’s trash pickups, repairs, or landscape maintenance. 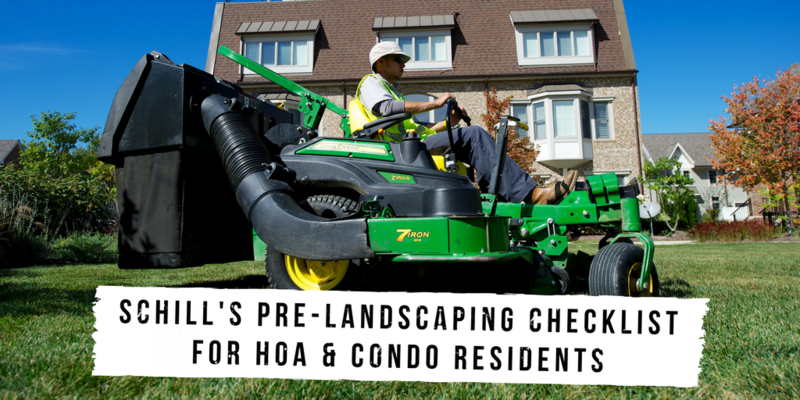 Your residents want to know that their HOA fees are going to good use, and letting them know when their property is scheduled for landscape maintenance lets them see that firsthand. This could be done in a physical newsletter or just a quick email. Looking for more landscaping tips? Check out our BEST articles on landscaping to keep your property looking great. want to maintain a part of your yard yourself? Let The Board know. Sometimes our clients at HOA’s will have a section of their yard that they want to tend themselves. Typically, this is a flower bed or small vegetable garden, but can even be a beloved tree or shrub (think rosebushes). 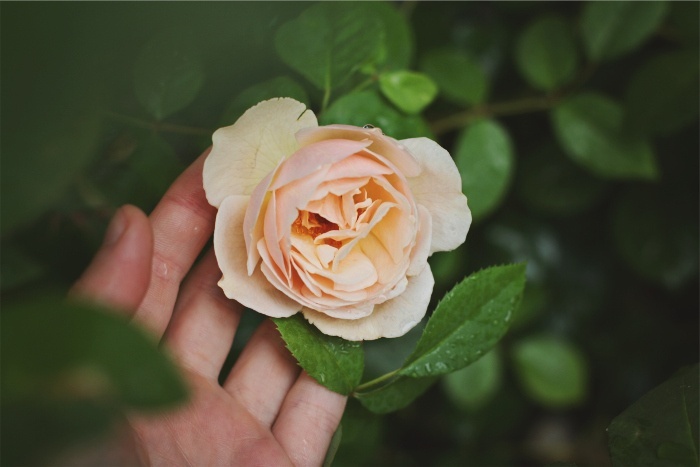 Here at Schill, we strongly believe in the physical and mental benefits of gardening, so this is something we wholeheartedly support. However, all requests for suspension of service must be approved by your HOA board or property management company first. After that, they will let us know what parts of your property you're going to maintain yourself before our crews arrive. That means your entire yard—flower beds too. Typically, the things people tend to accidentally leave in their yard are innocuous (but no less susceptible to damage) like pet toys, but sometimes more expensive equipment (ex. sprinkler systems, hoses, and even tools) that tends to blend into soil and turf can easily become mangled by landscaping equipment. Got invisible fences or Underground Cables? Mark them. Sometimes cable providers or invisible fence companies will install their products only a couple inches below ground. Unfortunately, Wires and cables that are buried that shallow are no match for equipment like weed whackers and lawn aerators that can scratch and puncture them. For this reason, if you have invisible fences with wires that run underground, it's your responsibility to make sure they’re marked with a flag. We know that invisible fences often cost hundreds of dollars, so it’s important to protect your investment. If you worked with a company to set up your invisible pet fence, you may even be able to have them come out to your property and mark the lines for you. This will ensure that you have accurate markings and remove the stress of doing it yourself. Similarly, if you're unsure about the location of your cable lines, give your provider a call. And while we're on the subject, make sure all of your fur babies, critters, and pets stay inside while landscaping work is being done. 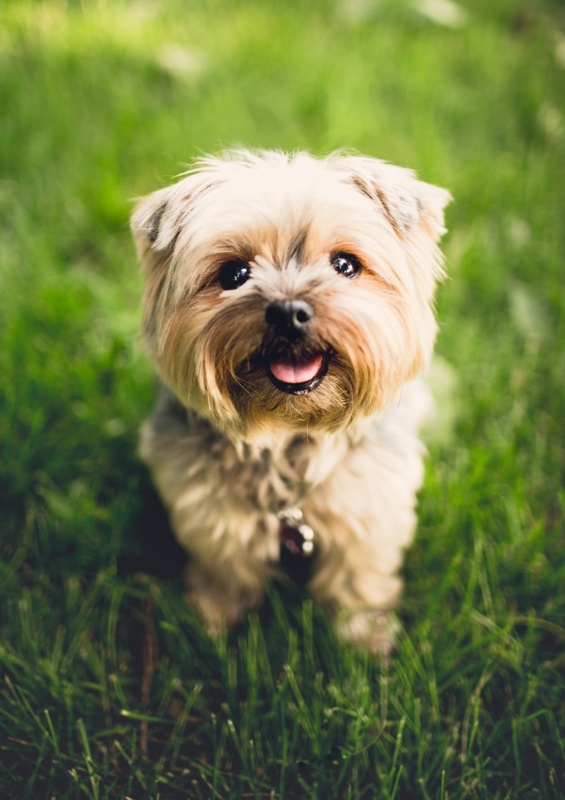 Furthermore, if you're working with a company that uses primarily synthetic fertilizers, you may need to keep pets (and small children!) away from sprayed areas for up to 24 hours. The Schill team's organic fertilizer program does away with the need for all that though, so if you're a client of ours, you and your animal companion can rest easy. 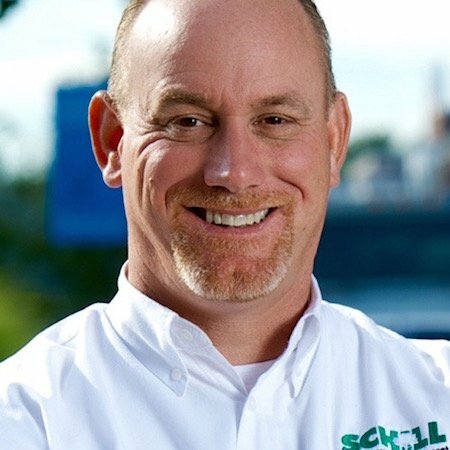 Over the last 25 years, Schill Grounds Management has worked with dozens of HOA’s to provide the highest standard in landscape maintenance and snow removal. If you’d like to learn more about how we can help your homeowner’s association shine in order to attract the best residents, please don’t hesitate to contact us. Or, if you’re an existing HOA client of ours who’d like to learn more about opening the lines of communication between Schill, the HOA Board, and its residents, take a few minutes to fill out our Customer Experience Form.